Posted on January 8, 2018 by Norwich Radical	in Inter|national and tagged Africa, AFRICOM, al-Murabitun, al-Shabaab, Ansar al-Sharia, army, Boeing, boko haram, Burkina Faso, coltan, corporate, daesh, Djibouti, Drummond, Ethiopia, featured, Halliburton, Islamic Magreb, Kenya, military, neoliberalism, Niger, occupation, Raytheon, somalia, South Sudan, terrorism, the Lord’s Resistance Army, the Seychelles, US, war on terror, WEIRD, Yemen. With all the madness that has been taking place across the pond on a near daily basis since the 2016 inauguration of the comb-over-in-chief, it is all too easy to overlook many of the less sensational affairs carried out by the United States. While we are familiar with the war on terror, defined by US military occupation of significant areas of the Middle East for almost all of the 21st Century, there are areas of the world in which the US remain equally as active in this same regard, despite much less public awareness. In October of last year, the Islamic State in the Greater Sahara attacked a small group of Nigerien and US soldiers in the Tonga Tonga region of Niger, killing three Americans and five Nigeriens. Although the incident was indeed broadcast by the mainstream media, the event represents a far greater issue developed on the continent: the increasing military presence of the US in Africa. the de facto situation with regards to Africa is the US is going nowhere. Just over 10 years ago, only 1% of all overseas US commandos were deployed in Africa, today that numbers is estimated to have tripled. In total the US has around 6,000 troops stationed across 49 countries of the continent with around 10 missions per day carried out by these operatives. Despite the US claiming many of these missions to be simple ISR ops – intelligence, surveillance, or reconnaissance operations to me and you – the reality is many result in armed conflict with insurgents, leading to both military and civilian casualties. Despite the rhetoric of training exercises aimed to strengthen national military operations, the de facto situation with regards to Africa is the US is going nowhere. With an exact number difficult to pin down, best estimates are that there around 50 US bases across the continent, housing infantry, special ops troops, vehicles and armaments. Djibouti, Niger, Kenya, Ethiopia, Somalia, South Sudan, Burkina Faso and the Seychelles all host drone bases with Niger being home to the more deadly Reapers; the preferred choice when looking to obliterate Yemeni wedding parties. Why then does the United States care so much about Africa, has the US administration finally realised that black lives matter? Sadly, my ingrained sense of cynicism points me in other directions than the altruistic defence of other members of humankind. With Middle East oil reserves effectively divided up accessible to private Western petrochemical companies or held by regimes sympathetic to their thirst, the gas guzzling superpower needs to set its sights on parts of the world as yet unexploited. North Africa holds vast reserves of untapped oil and natural gas, alongside a bounty of mineral deposits including nuclear ore, copper, gold and the all important iPhone ingredient coltan. 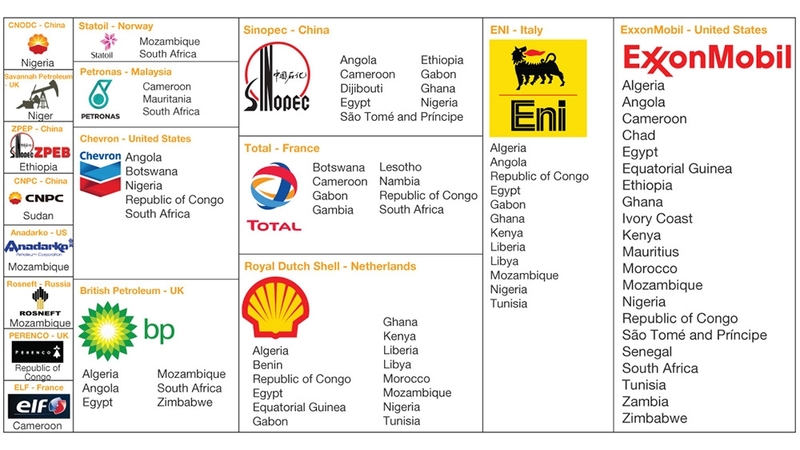 More countries across the continent are realising their reserves of black gold, making the continent a rising star in the energy sector. Although AFRICOM’s mission claims to be to defeat terror whilst working alongside national partners, one has to wonder whether such a interest would exist if the continent didn’t lay claim to so many resources vital to the Western capitalist machine. Troubling is that at the inception of the Pan Sahel Initiative, the US counterterrorist initiative launched in North Africa in 2002, the US recognised hardly any terrorist organisations as significantly operational on the continent. 15 years later there are 7: al-Qaeda in the Lands of the Islamic Magreb, Daesh, Ansar al-Sharia, al-Murabitun, Boko Haram, the Lord’s Resistance Army, and al-Shabaab. US military activity strongly correlates with the rise in major terror organisations in Africa, given what we have seen in the Middle East; the rise of Da following the destabilisation of a delicate power balance in the region, is it not fair to assume that perhaps the US is causing the very thing it is trying to prevent? For example consider the Mogadishu massacre, the car bomb detonated in the Somali city centre in October of last year responsible for over 300 deaths. Following the massacre, investigation revealed that the perpetrator was believed to have come from a nearby village recently the victim to 10 civilian (including children) deaths resulting from a US backed, Somali army raid. It is not hard to see how someone who has just had their father wife, or worse, child heinously taken from them in an act of violence, could be manipulated into engaging in similar actions in order to seek revenge. Despite the grandiose claims to be ridding the world of terror, it’s arguable that the US, however much indirectly in some cases, does a very good job of exactly the opposite. Despite the grandiose claims to be ridding the world of terror, it’s arguable that the US, however much indirectly in some cases, does a very good job of exactly the opposite. One final consideration rests with the act of war itself, a profitable enterprise desirable to those that make the bullets, bombs and berets. With such a mighty military industrial complex and the Middle East relatively less combat intensive than the previous decade, US companies like Halliburton, Raytheon, Boeing and Drummond all need a new theatre in which to maintain demand for their wares. What better to way to meet that demand than by an occupation guaranteed to ensure the continual increase of insurgent groups requiring you to remain? As the world ploughs ahead dedicated to infinite growth and consumption, WEIRD countries such as the US hooked on neoliberal free market fundamentalism, seek out every available location to extract the materials needed to sustain their addiction, evidently Africa is firmly in view. And while many are aware of the atrocities carried out by Boko Haram or Daesh, selective media coverage prevents us from realising the complex relationship between occupation and terrorism unfolding across the continent. However the US knows all too well the economic benefits of endless war perpetuated by their presence, and if that just so happens to be in one of the most resource rich parts of the world then all the better for them.